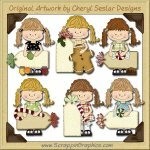 This collection of adorable and whimsical graphics is perfect for your thanksgiving project needs. 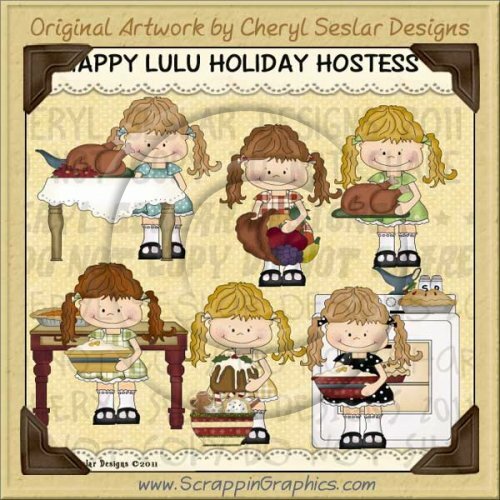 This set includes 6 different clip art graphics of little Lulu preparing for the Holidays: cooking Thanksgiving dinner, baking Christmas cookies & plum pudding. Great collection for making scrapbook pages, cards, labels, tags, invitations, and other printables.